The sand and mud were piled up, became the layered rock, then they had taken much time to be pushed up to the ground. This Turbidite is a place you can touch things once in the seafloor, and it's like an art of nature.◎The rocks are bigger than I thought, I can feel the energy of great nature. Just 30 seconds walk from the parking area. 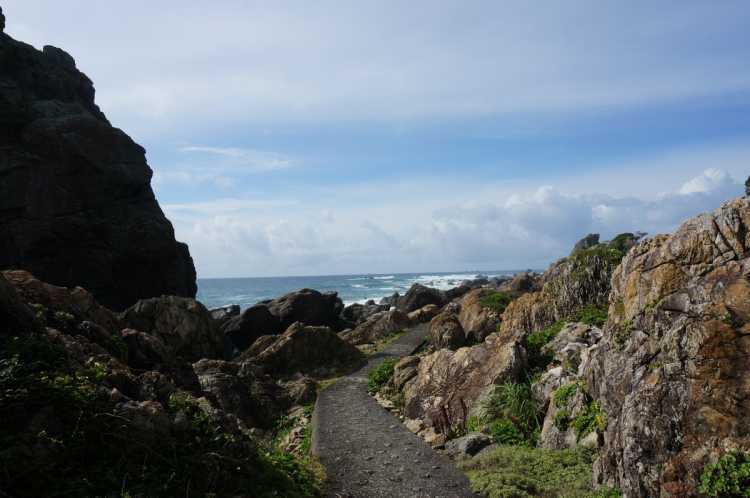 The walking path in Muroto Cape is an another world. 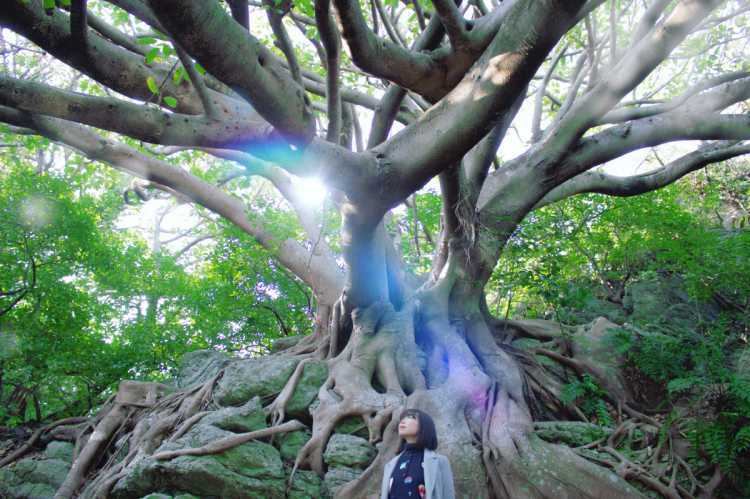 There're rich growth of tropical plants, and the gloomy atmosphere is like a jungle. The impressive Akou tree, whose bare thick roots hide big rocks, gives us a mysterious feeling and power of nature. 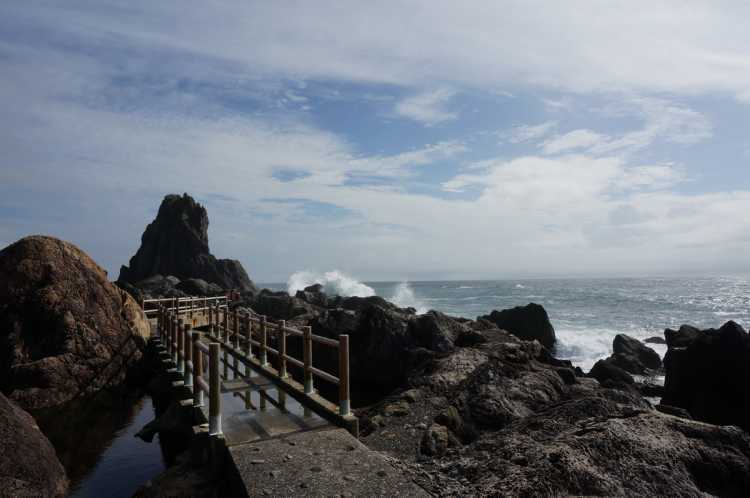 A rocky sidewalk in Geopark is as long as 2.6km along the sea. 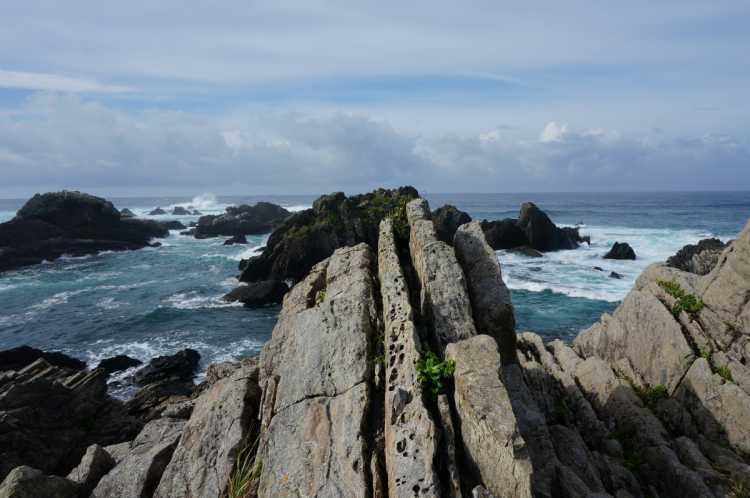 It seems to extend into the rocks, and sometimes the rough waves of the Pacific Ocean make you wet. 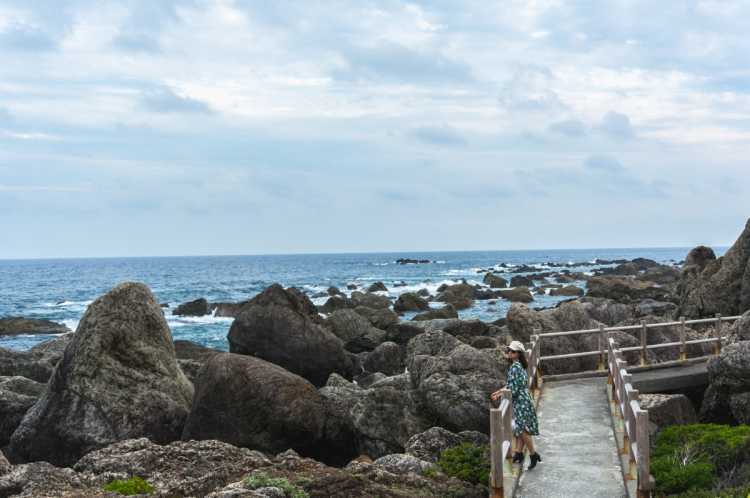 Along the sidewalk, you can enjoy seeing various nature such as huge strange stones and subtropical plants.◎It extends from east to west as long as 2.6km, you can enter from both sides and enjoy its dynamic nature. 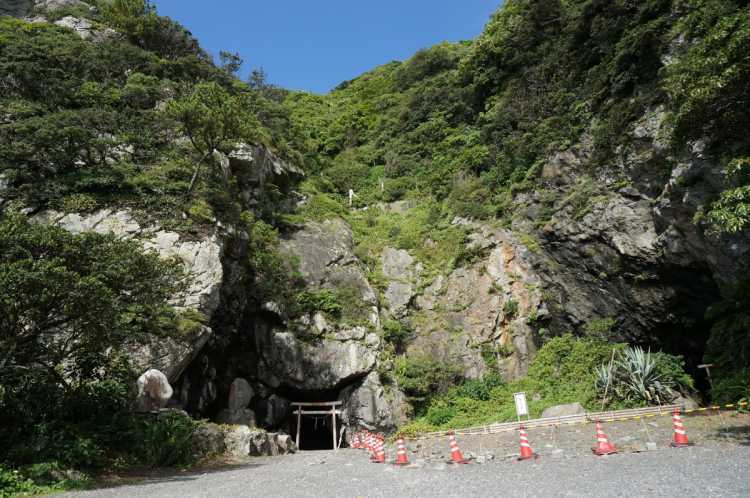 There're many places to see, a place in connection with Kukai and a stone brings babies, so enjoy walking all around. The layer is 26 million years old. It is made of a sandstone and mudstone carried by the sea and rotated by 90 degrees after depositing. And you can feel a huge power from it. A mysterious cave that was shaved by waves. You could experience the scene and sound that Kukai had seen and heard. Here is selected as one of the most beautiful sceneries in Japan. 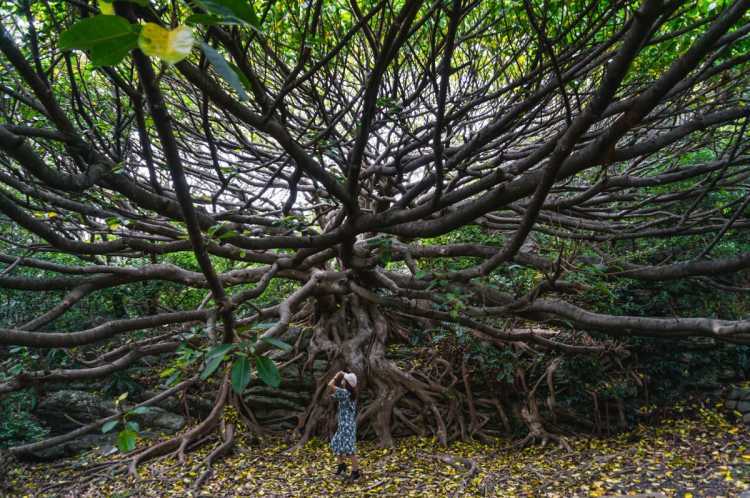 Its roots stretches around like a spiderweb. 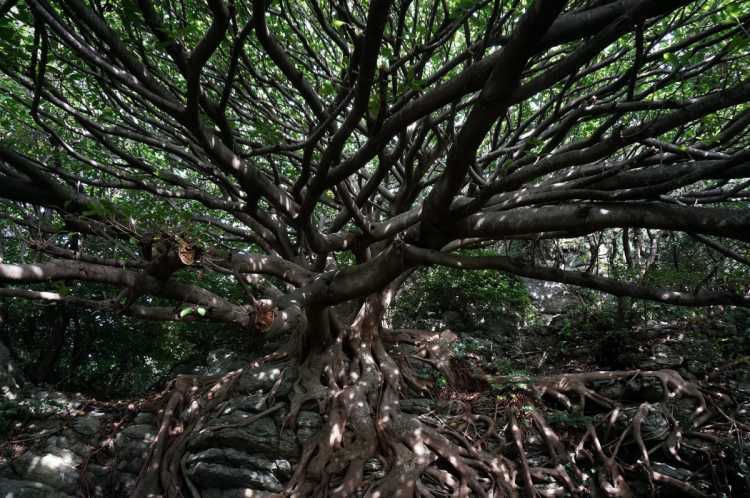 It's a shrub to escape the typhoon and has an impressive power that spreads over us. 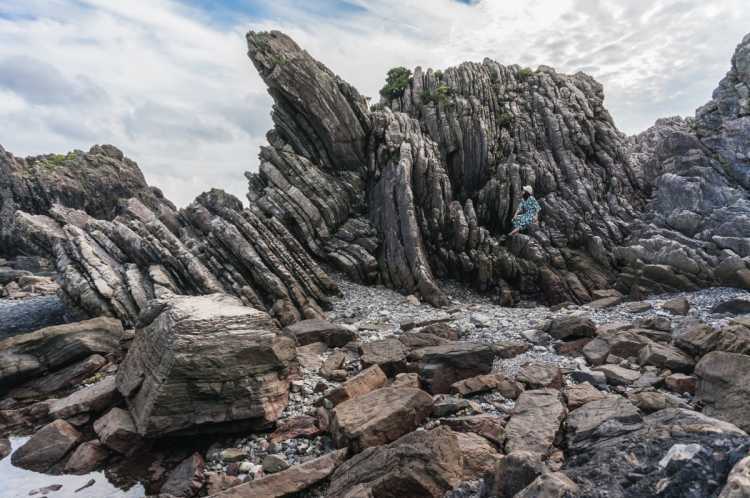 A geopark has won the world recognition. You could feel the power of the earth from the rocks and the impressive power from the Pacific Ocean. The rock appearance of confronting the powerful waves of Pacific Ocean is magnificent and wonderful. And it's said that there is a tragedy of a rare beauty here. I'm sorry for the bad angle. 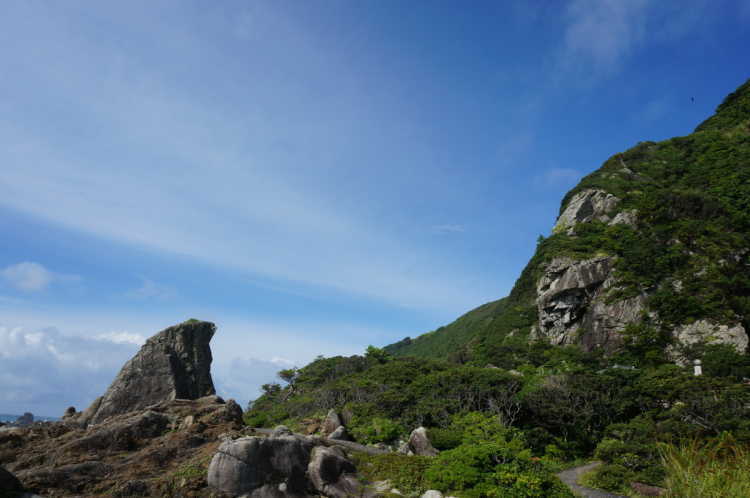 A sharp rock looks like tengu (a Japanese specter whose nose is long). That's the art of the nature, isn't it?